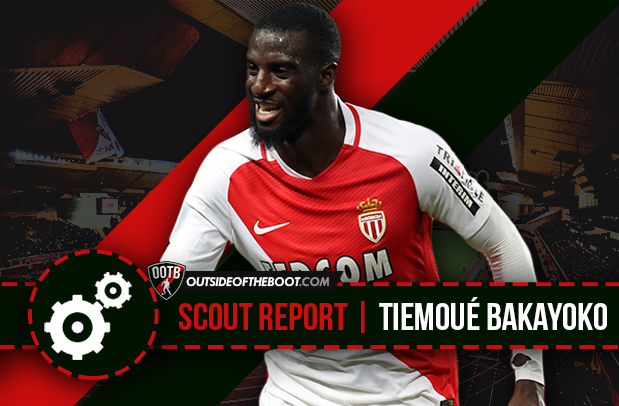 Kaustubh Pandey writes a detailed scout report about Tiemoue Bakayoko, the Monaco and France midfielder. The transition that Monaco have undergone from being big-hitters in the transfer market to a team that places a massive amount of emphasis on youngsters has been rather effortless. The appointment of Leonardo Jardim in 2014 was criticised for not being high-profile enough for a team that was and still aspires to become a giant of the game, but the club has to give a lot of credit to the former Sporting Lisbon boss for transforming the identity of the club that Monaco are. Topping the Ligue 1 charts, as things stand, Monaco also happen to be the highest scoring side in all of Europe with as many as 76 goals in the league (at the time of writing). 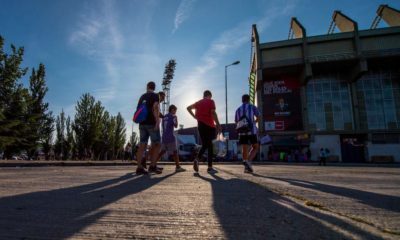 The feat might sound impressive for a side that wasn’t expected to do so in a league that has, in recent times, struggled to come out of Paris Saint Germain’s hegemony, but the average age of the side- 23.9, makes the fact all the more surprising. And Monaco deserve a lot of credit for playing the way they are right now, after forcing many followers of the game into taking notice. The names of players like Thomas Lemar, Bernardo Silva and Kylian Mbappe come straight out of the hat, but this miracle would never have been possible without the performances of their French midfield machine- Tiemoue Bakayoko. Born in the French capital city of Paris, Bakayoko was roped in by a local Parisien club- Paris 15eme O when he was just five years old. Four years later, when Bakayoko turned nine, another Paris based club called CA Paris Charenton acquired his services. His stint at Charenton was cut short in 2006 by a move to Montrogue FC 92, a club from the suburbs of Paris. It was in 2008 though, that Bakayoko’s talents were recognized at the Ligue 1 level, when Stade Rennais snapped up the then 13-year-old. After developing and climbing through the ranks of the Rennais academy, Bakayoko was handed a first-team debut at the age of 18 in a league game against Evian, as his side ran out 2-1 winners as the youngster played the whole game. While the game was Rennais’ third game of the campaign, Bakayoko went onto make as many as 24 appearances that season, scoring once. His breakout during that campaign allowed Monaco to acquire his services for a €8 million fee at the end of the 2013-14 season. Progress in the 2014-15 season under Leonardo Jardim was hampered by a hamstring injury that he suffered in January of 2015, keeping him out for a majority of the season. The Frenchman did manage to feature in two of the last four games of the campaign, playing a total of 18 minutes against Toulouse and Marseille. A malleolar injury in the 2015-16 campaign was enough to derail the progress that the youngster was making following his comeback, but Bakayoko managed to appear 19 times. He did score once and in turn, set about on his road to establishing himself in the Monaco first-team side. It’s this season that the Frenchman has become a vital cog in Monaco’s wheel. When it comes international representation, Bakayoko has appeared for the French national side at many levels since childhood. 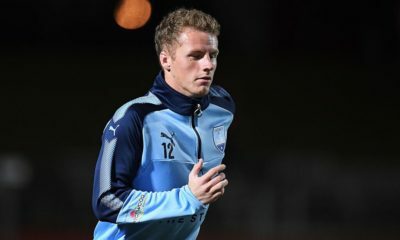 From the Under-16s and Under-17s to the Under-21s, the 22-year-old just lacks a call-up from the senior national side. And it is only a matter of time before it comes. A central midfielder by trade, Bakayoko has often been seen donning a rather deeper role in the heart of the park for Monaco. A physical specimen who is close to being a complete outlet in the midfield, the 22-year-old has earned a knack for dominating the area and winning games for Monaco from the deeper midfield zones. His six-foot tall frame and 70 kilograms weight allows him to do just that. Often defined as a more defensive, less flashy version of Manchester United star and compatriot Paul Pogba, Bakayoko is the kind of a player who can win games for sides with the help of the tool-kit that he has been blessed with. The youngster excels in sitting in front of the backline and cycling the ball forward by recovering it in critical areas around the defense. And being a robust midfield dynamo, tackling is vital part of Bakayoko’s repertoire. He has won 2.6 tackles per game and much like Pogba, he knows how to use his body to perfection, when it comes to shielding the ball and winning it back. More so, he has triumphed in 2.3 interceptions per game, this season. In the above instance, Bakayoko does the job that he has been performing to perfection this season. He tracks down the opposition player and uses his body impeccably to twist away from the on-rushing player and his balance on the ball allows him to come away with the ball quite safely. One important feature of Bakayoko’s style is his ability to dribble the ball out from crowded areas in deeper positions. His balance on the ball and burly figure allow him to whiz past opposition defenders and midfielders and often catch them off guard. While these instances are rare, they play a part in building from the back in a quicker manner, making the transition from defense to attack rather swifter than usual. His body doesn’t just complement him in winning balls on the ground, but he has the capability to dominate off the ground too. His aerial abilities make him a sound header of the ball, adding to his presence. This season, Bakayoko has won 2 aerial duels per game for Leo Jardim’s table-topping outfit and many struggle to deal with the style and approach to the game that he seems to carry in games. It’s Bakayoko’s passing that binds all of it together in one single package. His composure on the ball and ability to play in tight spaces is certainly a treat to watch. This has helped his passing percentage go up to around 87 percent, which is quite good for someone like him. Above all though, Bakayoko isn’t the man to shy away from big occasions. He is the kind of player who shines during big games. A level headed personality on the pitch, Bakayoko isn’t the one to lose his cool too soon. Despite that though, the Frenchman has discipline issues that often force him into getting booked rather unnecessarily. His dominating physique often leads to him attempting to over-dominate proceedings. Much like Pogba, even Bakayoko has the tendency to come up with moves that can well be dubbed as being ‘overly-flashy’. He can lose the ball cheaply during games, when attempting a trick or a cheeky nutmeg. This season, he has been dispossessed 1.2 times on an average in all competitions.